Identify the coordinates of a point in the coordinate plane. Drag the point in the plane and investigate how the coordinates change in response. This document is a cleaned up WORD document that is exactly like the Exploration Guide. It is realy an excellent activity. 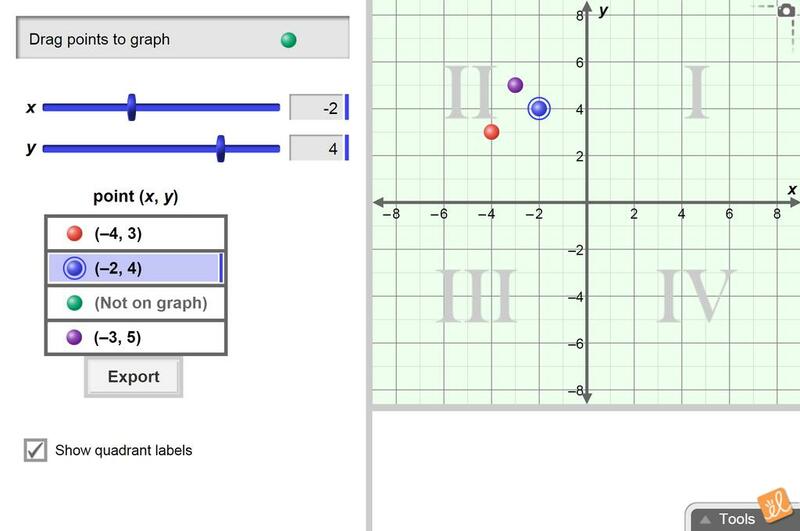 It teaches students how to locate points in cartesian coordinates.